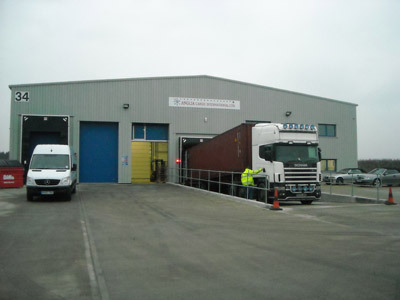 Anglia Cargo International Ltd Terminal is a 10,000 Square Feet DfT Aviation Approved facility which offers Security Screening with a cargo X-Ray Rapiscan machine. Recordable Security cameras both inside and out for total peace of mind. The Terminal is also an approved Customs Transit Shed and as such we are an approved Transit Shed Operator (TSO) allowing Export and Import shipments through its facility.